Selkirk College's off-campus housing list is for accommodation in the Nelson, Trail and Castlegar areas. These listings usually include room and board, suites, apartments and houses. Selkirk College's aim is to help students find a place to live by connecting them with citizens of our community who can help. Landlords and tenants are encouraged to take every precaution when entering into a rental agreement through the Internet. Please be advised that Selkirk College will not be involved in any agreements, arrangements or warranties for either party. Selkirk College has received reports of an increased number and complexity of scam attempts in the housing market. Landlords and tenants should exercise awareness and diligence to ensure they are entering into a legitimate rental arrangement. Want to list your rental or remove it from the website? Call us or send an email to housing@selkirk.ca. In Nelson: 1.866.301.6601; In Castlegar: 250.365.7292, ext. 21273 or 1.888.953.1133, ext. 21273 or by email. Due to the limited availability of rental housing in some areas, we suggest that you start looking around early! "Sublet for May and June"
I have a lovely and spacious room (approx. 12’’ x 15’’) adjacent to our house in Uphill. The room is quiet, comfortable, clean and secluded with separate entrance; it has a comfortable queen size bed and is just a few footsteps away from a private self-catering kitchenette and a shared bathroom in the main house. I am looking for someone that is friendly, clean, mature, quiet, and completely smoke-free and who has no pets. It is close to town (15 min walk) there is a public park (Lions Park) and public transit just around the street corner. All rooms are furnished and ready to move in. Price: $650 per month: inclusive of electricity, and wireless internet, off street parking. Let me know if that is of interest to you by replying to this email and could send some photos as well. 1 bedroom house, 1 bathroom, very large living room/kitchen area included fridge , stove, washer and dryer to be installed. No basement, parking available. Plus utilities . Call or text 250-365-3144, email marilynpearson2@gmail.com. $1,200. One bedroom fully furnished within walking distance of Silverking Campus. $650 a month all inclusive with utilities. Willing to negotiate price for right person. Studious, quiet, female student, must like small dogs, tidy. Has personal fridge, Kitchenette, shared shower and share main kitchen also. Central One block from Aquatic Centre, Kootenay Co op, Mall. -Looking for a community-minded, tidy, responsible roommate to join us! Please contact me for more details if this feels like a fit for you. We would love to meet you! I have a bedroom in my townhouse available for a few months. It's a two minute walk to the Silverking campus, and directly on the bus route. $600 a month would include utilities, internet and t.v. satellite if needed. The bedroom is fully furnished. This is a shared accommodation with 2 other adults, a cat and dog. The room is available now for a short term. Please call or email me. Located in Genelle. One fully furnished bedroom (includes linens) in cozy yet spacious home shared with 2 adults. Renter has full access to private yard & garden & house. Bathroom (contains laundry) shared with other renter, kitchen shared by all. Plenty of parking, access street from bus stop & gas station/convenience store with post office & liquor. 15 min. drive or 22 min. ride to Selkirk College (Castlegar Campus). MUST HAVE CAR if you need to work while attending school. Rent is $475 for single or $700 for double accomofation. Please call 250.693.8897 or email ladicia@hotmail.com. Available May 1st, Two-bedroom bright and specious suite on Tenth St across from Selkirk College Campus. In-suite laundry and recently renovated. Great for students who are enrolled in the full-time studies but are looking for a year round accommodation. No smoking, no pets. $1275 plus electricity. Please email: mypostsbc@gmail.com and include some information about yourself and the number of people this place would be for. Thanks. Available September 1, 2019 (early occupancy from June 1 available): Excellent location for a serious students. 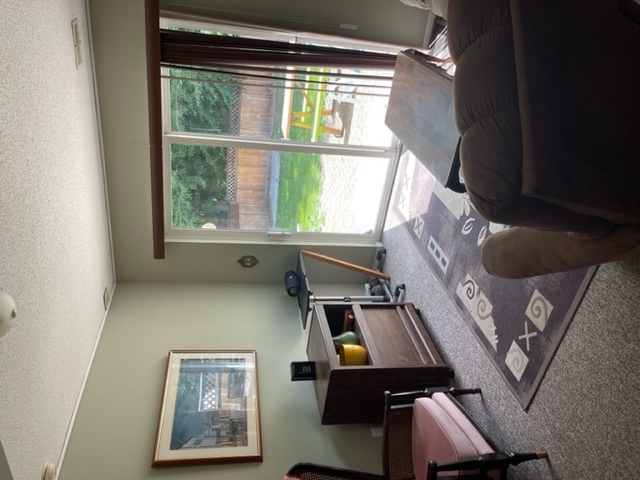 Two bedrooms available in a quiet, private & convenient South Castlegar location; 1 block to bus stop & walking distance to Complex, shopping & dining. 10 minute bike ride to college. Semi-private, 2 BDRM basement has separate entry, kitchen, bathroom & living room (furnished), shared laundry. Rooms are large & furnished with double bed, desk & chair, night stand & dresser. Rooms are single occupancy. $500/month per room includes internet, utilities & parking. No pets. Available to rent for May 1st. (Can move in a few days early if needed). Two furnished rooms in house located in Fairview, 4 blocks away from Tenth St. Campus. Bright clean rooms on main floor, 2 windows, hardwood floor. Main floor has its own bathroom it shares between the two rooms. $600 larger room w/ queen size bed. $550 smaller room w/twin bed. Utilities and wifi incl. washer/dryer incl. Street parking available. No smoking/drinking/partying. We are a family of 4 with a small dog and cat that lives on the floor below. - It is in Trail close to Safeway, bus service and downtown. - It is fully furnished. - Preferred fixed term - minimum 4 months agreement CAD $275/month + Shared Utilities and 50% damage deposit. Quiet home and furnished shared accommodations in Fairview near bus route, Safeway and Save-On. Walking distance to 10th street campus for rent to mature Selkirk Students for the 2019 Spring Summer semester May – August. I am a student at ksa and have a room available for may 1st in rosemont area in nelson. The room is $600 including utilities. I have a friendly dog and I’m hoping for a female roommate. Room for rent on Columbia ave in central south Castlegar. This shared student house is close to all amenities including McDonald's, Subway, A&W and the transit at the sports centre. House is fully furnished, wifi and utilities included, rent is $500 pm for a private room. Looking for a quiet, responsible female roommate to share the apartment. Private room, shared bathroom and kitchen, lots of parking space. The room can fit a twin size bed and has a small closet and lots of overhead storage space. Rent is $400/- per month including all utilities ($375 if you bring your own bed and mattress). One time security deposit - $200. Available May 1st, 2019. I am darshpreet looking for two room mates location is castlegar downtown and available rooms are two private, affordable rent sharing bathroom and kitchen. $350/month including all utilities except for wifi. 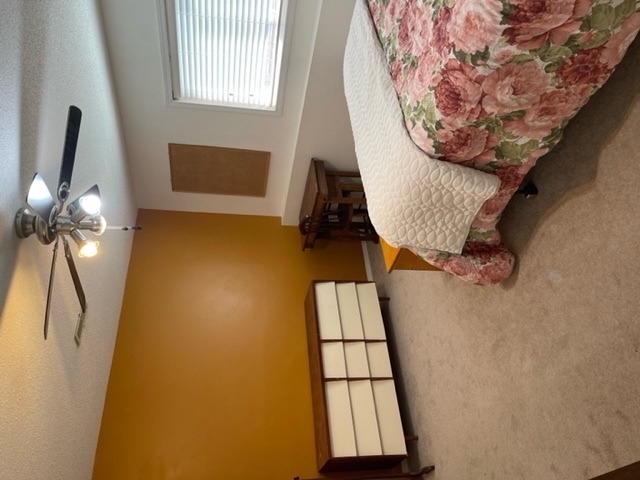 Basement bedroom in Robson home, $600/month including utilities and internet. Furnished bedroom with own bathroom, separate entrance and kitchenette. Should have own vehicle as is not on bus route. You would be sharing the home with me, my 2 children and our 2 cats. Semi-furnished private 1 bedroom self-contained suite suitable for 1 non smoking tenant. Separate from house, utilities included, and shared laundry. Laundry room access on site. WIFI not included. References required. Very near SilverkIng Campus of Selkirk College. April 1 or May 1. Bright furnished basement suite. Available for one student. You will be sharing with a male student. Two bedrooms with queen beds. One block to bus stop. Separate entrance. Small kitchenette and bathroom. There is a refrigerator, microwave, toaster oven and hot plate. Also some cookware, cutlery, dishes, bedding, towels etc. Laundry / cleaning of suite to be discussed. We're a quiet and respectful working household. No smoking, vaping, drugs, parties, strong smells. Includes utilities and WiFi. Individual apartments in downtown Nelson apartment building. Both furnished and unfurnished units are available periodically and include heat and hot water. Coin laundry. Parking not provided but bus stop is across the street. No smoking/no pets. Please email philana@netidea.com for more information/photos and to check on availability. 4 bedroom top level of home. 1 bathroom, full kitchen with dishwasher. Clean, bright and central. Steps from Millennium Park and bus route. together. Not furnished. $500/room per month including utilities. Internet extra. Contact West Kootenay Property Rentals Inc.
May 1 to Sept 1 Separate entrance private bathroom close to lakeside park and on bus route. Rooms to rent in a large, comfortable shared student house in South Castlegar. Ideally situated on Columbia Ave next to McDonald’s,Subway and 7 eleven, also just across from the main transit stop at the Aquatic centre. House is furnished with plenty of off road parking, shared kitchen and laundry. Utilities included. Available from the end of March (to be confirmed exact date). Please email first with your details and requirements. Rent is $625, including utilities. I'm a quiet college student looking for a roommate. Room for rent in a spacious, updated 2 bedroom basement suite. Includes washer/dryer in the suite with full bathroom, kitchen, living room. Available immediately. 1 bedroom in a quiet household. Will be sharing with a full time working couple. It is a 2 full bathroom house. Cleanliness is a must. The bus stop is just 2 houses away from our house,walking distance to Silver King campus. Perfect for a student enjoying a quiet sharing of a clean and comfortable space. Please send email to azil_feb16@yahoo.com for additional info. Hi, I have a room for rent in a renovated mobile home in Sunnyside MHP on the North Shore of Nelson. $400/month covers all utilities, wifi, and there is laundry. I already have a cat so no new pets sorry. I'm looking for someone mature, kind and with good communication skills. I am a bit eccentric and love a good cup of tea. Please contact me at tika_bean@hotmail.com or 808-683-2552. I have 2 bedrooms to rent one upstairs and one basement room. The upstairs room is furnished and the downstairs is unfurnished. The rooms are $500 each. I live near kootenay market so easy access to shopping. My home is pet friendly I have a husky and 3 cats. I have 2 kids part time. No smoking/drugs permitted. Utilities are included. There’s a spare fridge and stove for groceries and cooking. Large, bright room for rent in Nelson Uphill on Trevor Street. Private bathroom. Shared kitchen. Large healing space/studio open to you in the evenings. Shared with working professional couple. Looking for a "kitty whisperer." We have a darling and sensitive cat named Sita. This is an awesome spacious home. We are both musicians and love to jam. We also love yoga, meditation, dance and nature. In general we are quiet, we eat very clean, and we like our privacy and R & R time. Clients come to the house for coaching sessions, which requires a student who is out of the house on Tuesdays and Thursdays during the day if possible. Room is $650. Starting January 7th. Available until July 1st. Available immediately in Thrums for one woman. Room includes all linens sheets towels, etc. with twin beds. Besides this you will share the rest of the house with an elderly lady, including laundry facilities, dishes, cooking utensils, wifi, free soap, room $600 month. This is a perfume free zone, but essential oils OK. No gasoline based products, no smokers, Quiet home life. Cat friendly. Bus at Hwy, 3 min walk. Available January 1, 2019. Located in Blueberry. 1 large furnished bedroom for rent, shared bathroom, wifi, barbeque on deck, shared large kitchen. $500/month including utilities. Home owner is a shift worker. Call and leave message for Pam @ 250 365-5527. Single occupancy , self contained , furnished 1 bedroom basement suite with private entrance and off street parking . Includes Telus cable , internet, utilities and shared Laundry. No Parties, No Pets and Non smoker. Two rooms available in my house starting December 1. Located in shoreacres. Already students living in basement suite. Short term or long term. $600 plus utilities for one person or $750 plus utilities for two. Both rooms available to renters. Room available in sunny Bonnington , 12 minute drive from downtown Nelson. Room has high quality queen sized bed . Bathroom has lots of cupboard space. Hardwood and tile floors throughout , window seat , sun deck , washer , dryer , dishwasher and internet . Looking for non smoking FEMALE room mate, and please no pets . ( no couples ) . To share with one person. References and deposit required. Bus service is available, but a vehicle is best for this location. $650.Price is inclusive. Cozy Pines Motel available for students needing a place to stay. We have one and two bed rooms available. Rates range from 700.00 a month to 1250.00 a month. Room for rent at 6 mile. The room has a single bed , dresser and student desk. We live in a 4 plex across from bus stop and close to Duhamel store. There is laundry in house. Wifi and utilities are included. I am requesting $650/month plus $200 damage deposit. I am thinking it would be best to find a female student. 250 354 7605. Rental availabe in Castlegar. 1 person only; no sharing the room. Prefer nursing student or student with full course load. Non-smoker (cigarettes and pot) and no pets. Cost is $650 per month and includes large spacious room with 5 pc bathroom and large closet in lovely home. Only a 4 minute drive to Selkirk College. Damage deposit of $100. (room and bath provided clean; must be left clean) Shared large kitchen. Shared laundry 1 day per week. Wifi and utilities included. Must provide own food, TP, and laundry detergent. Must clean up after themselves. Must like pets (we have a small dog and a cat). Must have references. Must have car - bus service limited and distant walk (Ootischenia) Must do a meet and greet at home. Available September-April. Available Jan 1, 2019 in Fairview, Nelson. One furnished room in large house for female student, big yard, washer/dryer, parking, close to the Tenth Street Campus. $500/month includes utilities. Good for international student. Available now in South Castlegar. Bright, beautiful, new, two bedroom basement suite with separate entrance. Fridge, stove, dishwasher, washer/dryer. No pets, no smoking, no parties. Parking available. Close to grocery store and bus route. $1300 includes utilities except cable and internet, price negotiable for long term rental. References required, call Ian at 250.513.1377. Fully furnished 2 bedroom suite, in our home in quiet Tarry's neighbourhood. Bedrooms have new queen beds and a desk. All utilities included, tv, wifi, separate laundry, kitchen stocked with basic equipment, dishes, utensils, microwave,coffee maker. living Room, laundry area, and a bath and a half. The home is furnished. Available August 15 in downtown Castlegar. Basement suite with 4 furnished bedrooms available, preference will be given to groups of 4. $500/month for each room, includes utilities and wifi. N/S, N/P. Please call Alex at 250.551.0317 or email alexendra.allen@gmail.com. Shared/Private: Each person gets their own bedroom with an attached private 3pc bathroom in a shared home. Furnished: each room has a standard double or queen size bed, with dresser, night tables, some rooms a vanity, desk/chair or both. Smoking: no smoking or vaping of anything in the house. Lots of outside areas where it is OK to smoke whatever. Home has a large shared kitchen with 3 fridges and lots of counter cupoboard space. Also a large dinning area, livingroom, den and laundry. No offstreet parking but easy parking in front of the house. Phone: 250 352 1693 although it is a bad way to contact me. you will get my answering machine that is usualy full. We have a fully furnished 1 bedroom ground floor basement suite w/ separate entrance available for short term stays. The bedroom has a large window. The kitchen is equipped with with appliances, crock pot, blender,dishwasher etc. We are currently in "reno mode" so the price of the suite is reflective of the "work in progress" We have 2 children 8 and 11 that stay with us part time. We also have a cat. Our house is located in sunny Bonnington close to the mailboxes and bus stop. Presently we are asking 600 month. but will consider a weekly rental as well. Please contact aldridgelaura16@gmail.com for more info. Two bedroom, one bathroom home. Ten minute walk to shops, cafes and restaurants of Baker Street. One bedroom self contained unit -close to Blewett Elementary - on the bus route. Private 2 bedroom loft suite on riverfront in Genelle (12 minute drive to College) close to golf courses, ski hill and hospitals. Quiet, rural area. Single occupancy only. Fully furnished, including linens, TV, kitchen wares. No smoking or pets and references are required. Enjoy the Columbia River at your door step. Only quiet responsible tenants will be considered. Contact Kathleen at kathleenkandborg@gmail.com or text 250.364.3847. Cost is $700/month and is available Sept 1. Located in Nelson. Available Sept 1 for one person; no pets, no parties, no smoking. Available until May 30 2019. Shared kitchen and bathroom. Internet and large screen TV are also included. One small dog lives here, so no more pets. Two furnished attic rooms. $650 including all utilities, wifi and internet. Call Laura at 250.777.2867 for more information. 1 bedroom suite available September 1st in Montrose. Brand new 1 bedroom suite, partly furnished. Wifi, heat, electricity, water included in the monthly rent. Private entry and own laundry area. Perfect for 1 responsible quiet tenant. No smoking, no pets, no partying. 1-bedroom bright spacious basement suite, fully furnished, available September 1st. Private bathroom. Private full summer kitchen with toaster oven, kettle, microwave, full sized fridge; shared stove upstairs. Shared Laundry. Lots of space for storage and a huge yard to enjoy. Close to the college in the beautiful Ootischenia area. $700/month all included. School semester leasing term. We have 1 friendly dog. The right pet may be negotiable. Please call for further info or to view. Available Sept. 1. Basement suite available for rent in central Castlegar. Place is furnished and on main bus route. Stove, fridge and shared laundry. Cost is $900/month including utilities. No pets or smoking. Ideal for working person or student. Contact Colin at 250.921.9343 for more information or to view. Located at 7 mile at the North Shore outside of Nelson. Very close to bus stop. Large bedroom with a desk and private bathroom, shared kitchen. No laundry on site. Mature, quiet adult. $650/month including everything. Please call Virginia at 250.825.3419. Located in Fairview, Nelson. $700/month + $350 damage deposit. Large furnished room with private bathroom and separate entrance. Located 2 min walk from Lakeside Park and approx 15 min walk from Selkirk Tenth Street Campus. We have 2 children (8 & 10) so the mornings can be busy and a lovely dog and cat. Available Aug. 31 in South Castlegar. 1 bedroom basement suite, full kitchenette with shared laundry and seperate entrance. Next to bus stop. Call Brendan at 250.304.8480 for more information. 1 bedroom available. We are a family of 4 my two kids are 12 and 2. We also have dogs and cats - so you must love animals. We live in Robson so not to far from the school. $650 room and board, includes internet and cable. Please call Shannon at 250.304.5667 for more information. The house is located in downtown Castlear close to bus stop. Plenty of parking spaces available if you come with a car. The $600/month rent include wifi, Queen size bed, bedding, desk and chair, shared kitchen and bathroom, and onsite laundry. Utilities are also included. Please call June at 416-728-0797 if interested. 2 blocks from the Silver King Campus in Nelson. A main floor of new, big house, 2 bedrooms. $1295 plus utilities. In floor hearing in the bathroom and kitchen, air exchange HVAC, lots of light. Please email Erin at esquigley11@gmail.com for more information. Located in Warfield. Avaiblable July 1. One room available with private bathroom and entrance. It is furnished but can be cleared as well. $600 including power, gas and internet, cable can be. Would consider a room and board situation for a higher price with meals etc for the right person/situation. Contact Kristin at k_bothamley@hotmail.com for more information. Available June 25. I have one room available for a female in an apartment at Selkirk Manner Apartments Castlegar. Rent is $250, utilities not included. Available now. Very close to the Castlegar Campus. New washer/dryer, fridge, stove, dishwasher and gas heat. Cable and phone conections. We are an older couple and we need quiet so female students would be prefered and I can drive them to school or shopping. 2 big bedrooms that will fit 2 beds to a room so we could have 4 students. Quiet, rural area, newer house that is attached to our house so they have privacy and a big yard and garden space. Cost is $1,100/month plus utilities. Contact Robin at 250.608.4226 or 250.365.6137.